Modern Vietnamese language is written using the latin alphabet, sprinkled with a lot of interesting diacritics, but this was not always the case. During their long history, Vietnam and China weaved a complex relationship together. For one millenium Vietnam was actually a Chinese vassal state, and this left a profound imprint on Vietnamese culture. China brought the Confucian society structure and Chinese characters to Vietnam, where they continued to evolve independently way after Chinese influence in the region had waned. 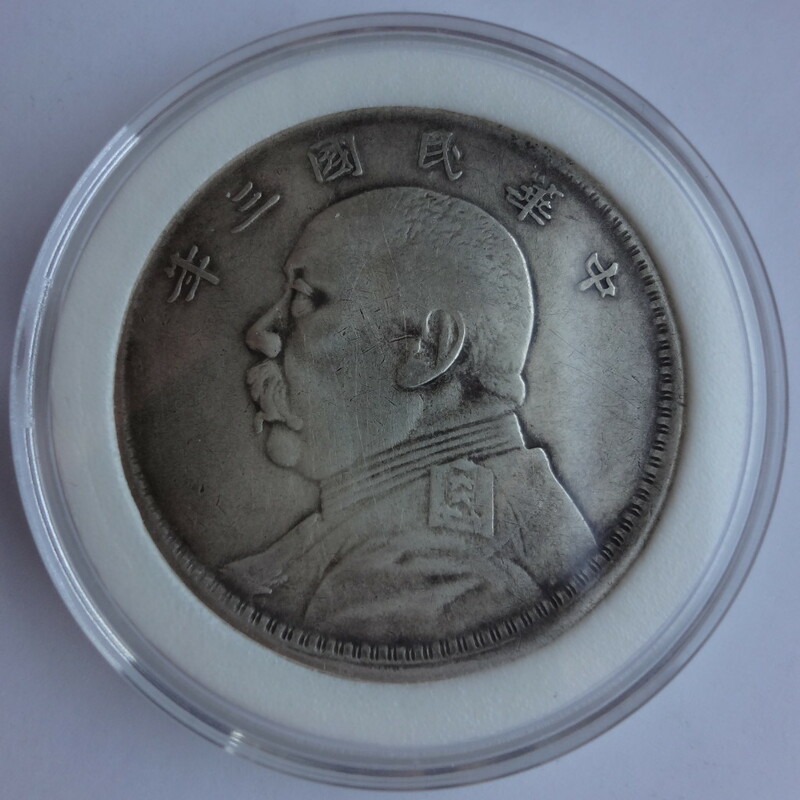 This shared cultural background is the reason why this coin looks so familiar to the Chinese coin collector, in an uncanny way. This “Minh Mạng thông bảo” coin has a face value of 7 tiền. 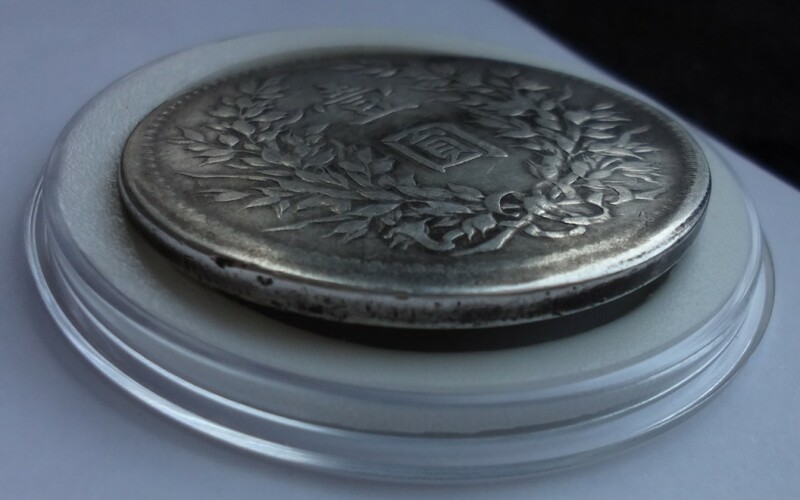 The “tiền” unit is roughly similar to the Chinese 钱 (qián) unit we are accustomed to, and this silver coin weighs unsurprisingly about 27 grams. Its diameter is also comparable to Chinese dragon dollars at 40mm, but it actually predates them from half a century! The first Western-style dollar coins of the Asian continent were indeed actually made in Vietnam in 1832. Emperor Minh Mạng, despite the disdain he showed for European culture, had some interest for their technology and weaponry, which he sometimes imported in the otherwise very conservative Vietnamese society. These dollar coins are probably the result of one such experiment. Vietnamese dollars were not struck – the Palace lacking a modern mint – but cast like traditional cash coins. The fine details and sharpness of their surfaces despite being made with such a crude process is a testament to the care and mastery with which they were produced. Due to the casting process a lot of varieties exist, but these coins are rare, moreover in good condition and with sharp details. The coin pictured above is the most common variety for the year 1834, the stylized flames around the fireball in the dragon’s claws having two “forks”. A scarcer variety for the same year only has one of such “forks”. These dragon dollars were nicknamed Phi Long, the Vietnamese reading for the Chinese characters 飞龙 (Fēi lóng). 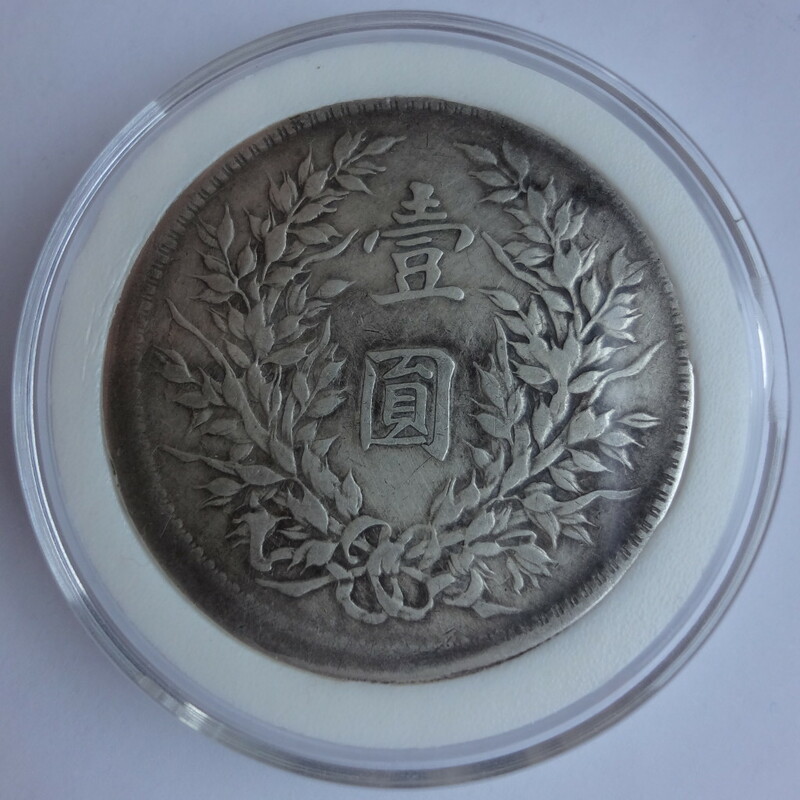 While they are very scarce and beautiful, these coins are still cheaper than Chinese coins of similar rarity: a 1834 7 tiền coin in AU grade is worth about $2500 USD at the time of this writing. The price of Vietnamese coins has risen sharply in recent years though, following the growth of the Chinese numismatic market. The shared cultural themes between the two countries makes old Vietnam coins attractive to Vietnamese and Chinese collectors alike. For example, the design of the rare 5 tiền coin shown below, made during the rule of Emperor Tự Đức, is actually a great visual pun with an auspicious meaning!